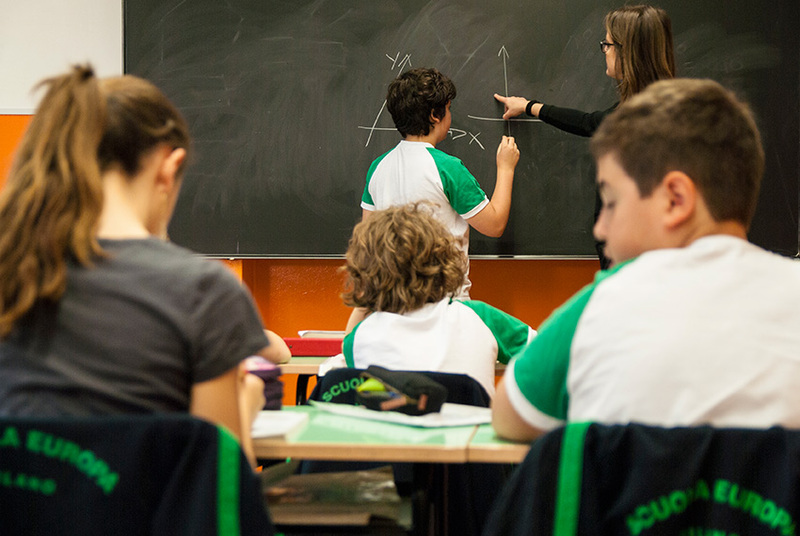 The Secondary School offers a course of study focused on experiential, inclusive teaching on cutting-edge Italian and international programs. Aimed at increasing the autonomous capacity for study and social interaction, the Secondary School organizes and increases knowledge and skills to face contemporary reality. Scuola Europa has adopted the educational path of Cambridge International School which is based on the Secondary degree with the Cambridge Secondary 1 Checkpoint, the final exam that our young students will take at the beginning of the Third Class after a preparation course of about two years conducted according to the syllabus and standards of the University of Cambridge.